Before we give you the best HTML5-based photo animators for mobiles, it is important to mention, why they are so important and why you should be looking for them above all. HTML5 is an upgraded version of HTML, which is a “markup language”, that is, to digitize content. Whatsoever, the top asset is, that content based on HTML5coding, can be viewed across all browsers, all devices, seamlessly. 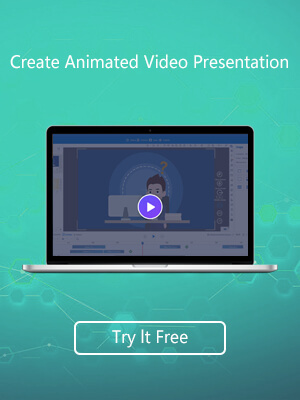 Content can be videos, images, or special effects, such as “animated photos” that you are here to learn about.So here goes, the best photo animation software, that’s available on the World Wide Web at the moment. 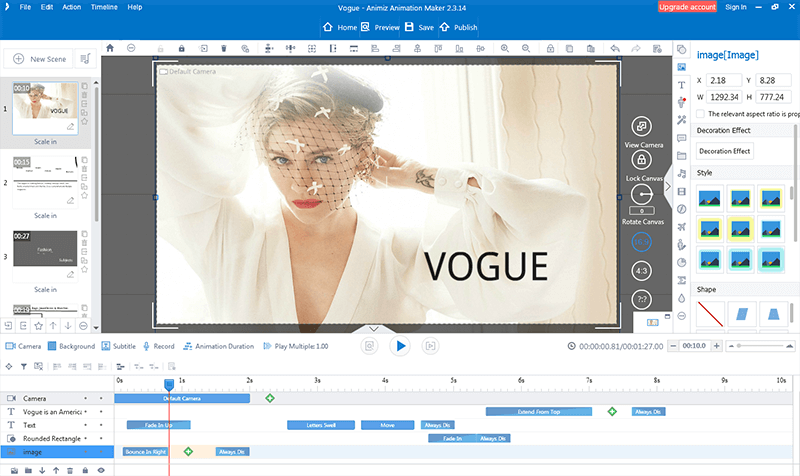 Animiz is web based HTML 5 animation software that supports the import of SVG, images, video or GIF, and has multiple features for sound editing and special effects. There are numerous preset animated characters and objects that can be added in. 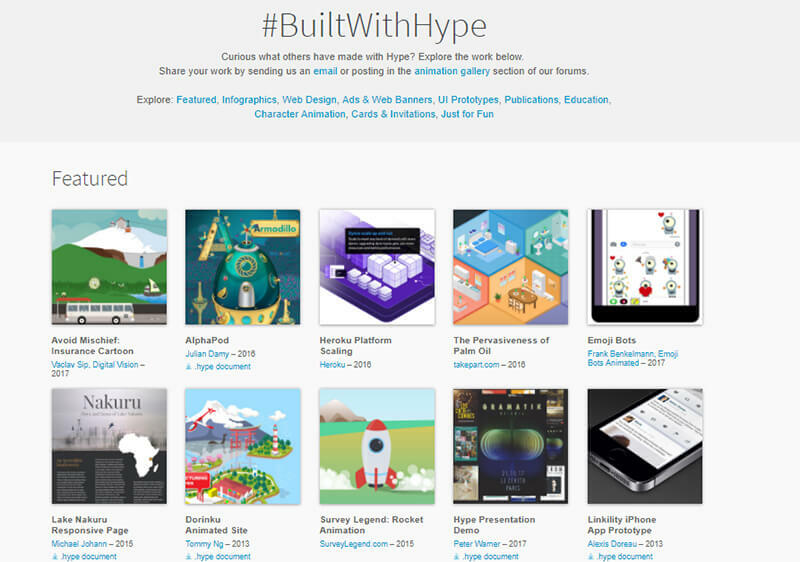 FlipHTML5 is a decent toolset focused around digital publication ideal for digital magazines, school yearbooks, graphic novels and photo slideshow. Its cloud platform lets you create interactive publications that support PDF and MS word files. 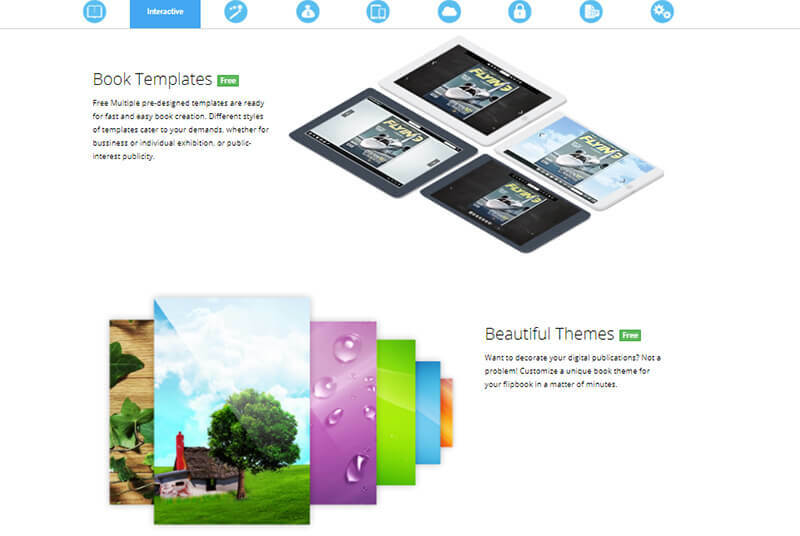 There are a number of pre-designed templates, and HQ themes, animation editoramong its core features. The HTML5 coding makes it run smoothly on mobiles and smart devices of all sorts and browsers of all sorts. Create a bookshelf of your own, and read offline, you can even sell your publications. A photo editor that can be used on mobile phones, to bring your images to life, AmoLink, is a powerful suite for photo slideshows, digital photo album, eCards, presentations, GIFs and videos. Its cloud based platform, lets you create, store and publish online, without the need to download. The power of HTML5 supports mobiles, desktops, OS and browsers of all sorts. Node fire is free to use HTML5 photo animator tool that focuses on web content and banner image designing. It is focused on interactive/responsive, easy operation on mobile phones of diverse OS. 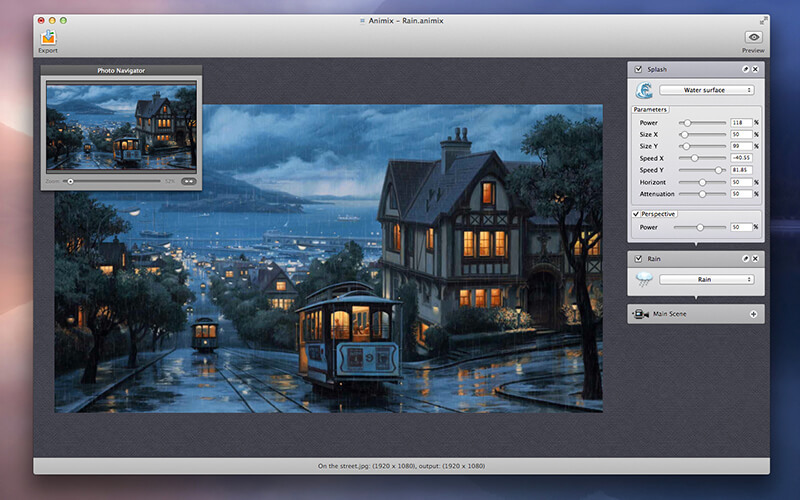 A onetime animation will create responsive files that would support all kinds of screen sizes and browsers. 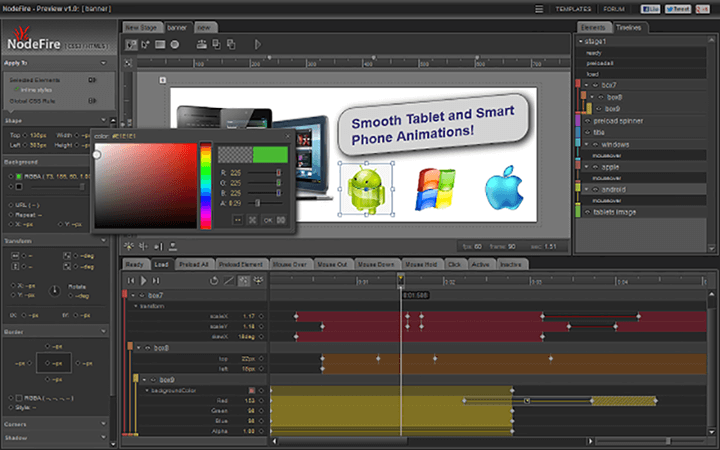 Tumult Hype is highly advanced animation software that specializes on HTML5 and key-frame based authoring, that works excellent on mobiles– iPhone or Android devices. It supports a wide range of image file formats such as JPEG, GIF, SVG and PNGthat can be imported from a mobile gallery, to create high quality animated photos, eCards, infographs, or graphic novels. This designing software does not require coding, but can be extended with coding, and is very easy to use. It will run well across all browsers and devices. With the latest upgrade Tumult Hype 3, you can even have a better operation of your HTML 5 mobile album, with enhanced and quick response. 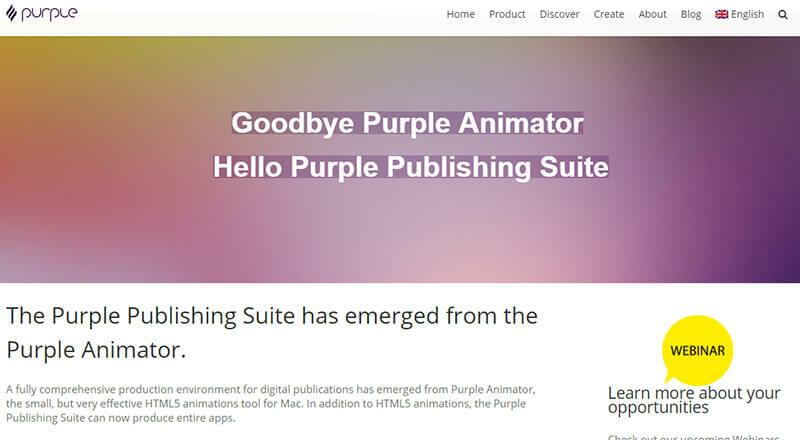 Purple Animator is now better known as Purple Publishing Suite, developed by Sprylab GMBH. This is a highly efficient HTML5 animation tool that can be used oniOs Android devices, Flash Output and Kindle Fire. This is focused on digital publication, wherein the toolkit is accessible free of cost, but the publication attracts a fee. Make your own digital magazine, graphic novels, eCards, and creative photo album.